I've just got back from Mister A's nativity play and I am such a proud Mummy. I thought there'd be tears but I was just beaming all the way through - and laughing. Mister A and his friend kept bonking each others head with their animal hats! We also heard him say, "No, I can't see my Mummy either." Bless him! Ah oh so cute! 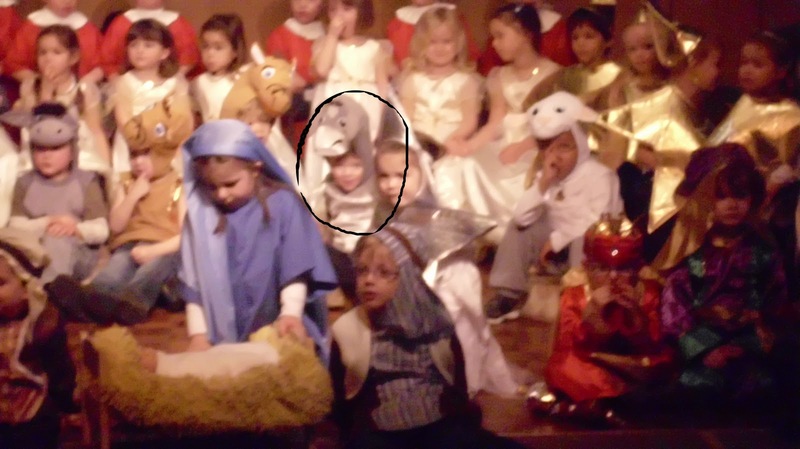 Little Donkey was always my favourite carol.